Recent 2018 Belmont Doctorate of Physical Therapy graduate Alicia Bowden completed a unique experience while in school when she traveled to Arequipa, Peru for one of her clinicals. While there, she worked with “Work the World,” an organization that coordinates international clinical internships tailored to a variety of healthcare backgrounds. With the help of Gail Bursch, associate professor of physical therapy & director of clinical education, Bowden was placed in the physiotherapy department at Hospital Goyeneche, one of the oldest and most respected medical institutions in southern Peru, where she spent six weeks working in acute and outpatient care. Bowden worked with a wide variety of patients and medical conditions including traumatic brain injuries, spinal cord injuries, strokes, amputations, post-mastectomies, TMJ issues, Bell’s palsy, and other orthopedic conditions. 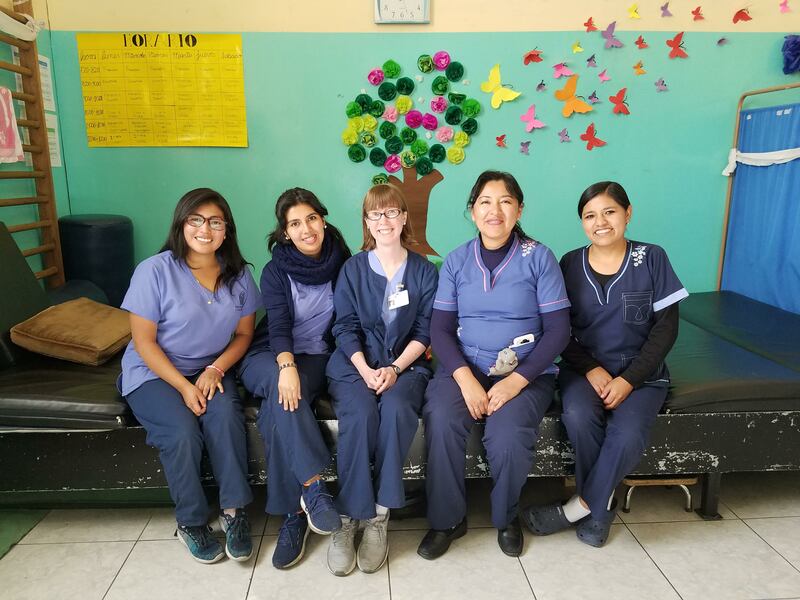 Throughout her clinical, she learned about physical therapy treatment, and was immersed in the Spanish language while gaining an understanding of the Peruvian healthcare system.